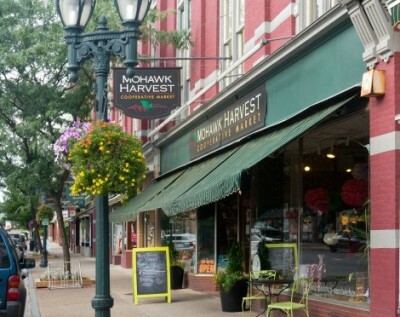 Mohawk Harvest Cooperative Market, Inc.
A food co-op to promote healthy eating, buying local and unique products not available at commercial stores. Memberships available, not required to purchase. Daily breakfast, sandwiches, and soup specials, baked goods, cafe items and beverages. Weekend brunch specials until 2pm.